Hi there! I hope you all are having a wonderful first week of December. If your family celebrates Christmas, is your tree up yet?! Ours isn’t. Lame, I know, but I digress. I really enjoyed participating in Amanda’s Thursday thinking out loud for my first time two weeks ago so I’ve decided to jump back on that bandwagon. 1. Class registration. I met with my initial advisor at UNH yesterday to discuss class options and needless to say I’m beyond excited. I’m not entirely sure what specific classes I’ll be taking quite yet but I’m well on my way with that whole process. I do for one know I’ll be taking both chemistry 2 and psychobiology (as long as it doesn’t full up!). Along with that I really want to get into an upper-level course but that all depends on scheduling. Time will tell! 🙂 It was awesome just to be on campus though walking around, I think I’m going to love it! 2. I’m fairly certain I’ve eaten the exact same afternoon snack everyday for the past month. And I’m totally ok with it. Obsessed with Perfect bars. Don’t fix something if it isn’t broken. 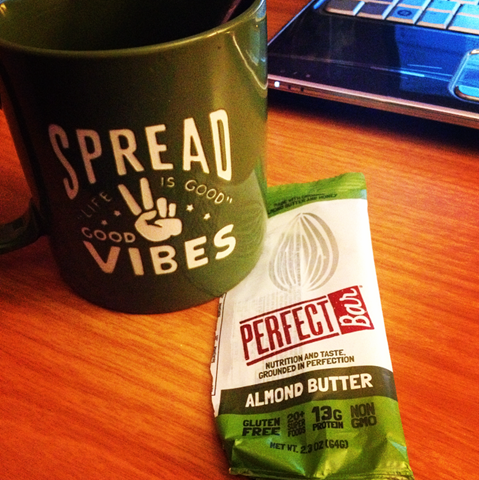 Perfect pre-workout snack or just anytime snack. Especially with coffee. But, I mean, everything goes with coffee. 3. I’m fairly certain I have put on over a pound of lotion in the past day. If anybody has any tips and/or product recommendations for dry skin I thank you in advance. Holy crud through seriously I don’t even understand how one can have such dry hands!!!!!! Splits on each finger. Bleeding. Cracked. Super hot. Why did I feel the need to tell you guys about the poor health of my hands?! 4. 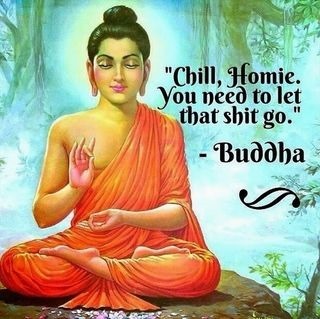 Buddha quotes 😉 I mean, I think Buddha definitely said this. 5. Entering the final two weeks of the fall semester! This semester has flown by. Last time I checked it actually just started and I was a major stress-ball. Again, chill homie. I’m really enjoying chemistry, as I mentioned in my last post and looking forward to future courses. I have three classes left: a test + lab day, a review day, and the final exam. After that it’s five weeks of break until the Spring semester begins! 7. I’ve been on a major swiss chard kick. Major. I was eating kale on the daily, lately it’s chard. Just look at that burst of color. Glorious greens indeed. 8. Black Friday shopping. It’s okay because, well, deals. In all seriousness though I was in desperate need of a winter coat and winter boots. Especially considering I am going to be walking much more outside come mid January, I figured I needed to get myself together to ensure I don’t actually freeze. I will say I love the deals that stores offer, however I hate that employee’s of some companies are made to work on Thanksgiving and/or early early Black Friday. Can’t we just calm down and wait a few more hours? I don’t see the big hoopla to get all worked up about. I went around 3pm and still found what I was looking for and there weren’t even many people out and about at that point! #winning. 9. Something to remember. You are perfect as you are. 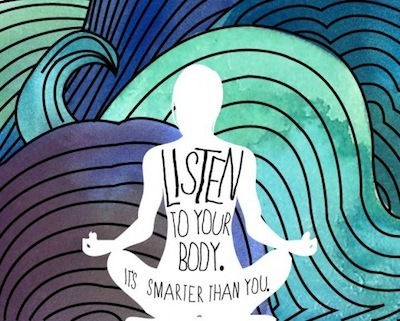 Accept that and love everything about yourself. I like the quote you ended with. I’m glad things are going well with school and seeing the campus and good luck with classes and all that stuff- not to mention finishing up the semester! 🙂 thank you, Amy! I can’t believe how good it felt to be on campus, it really is such a community feeling! Try kiehls hand cream it works really well for me and it markets a waterproof layer so it doesn’t wash off as easy! Lots of awesomeness in this post! As for cream, I used Nivea extended moisture release cream. I think that’s what it’s called? It was like $4 at Walmart and it works great. Another option that’s probably better for you is Burt’s Bees hand salve. Actually, anything by Burt’s Bees is pretty great. They also make an amzing coconut foot cream that is soo moisturizing. You could always use that on your hands, but I would do it overnight as it’s super sticky. My one friend used to put Vaseline on her hands and sleep with socks on, haha! ANYWAYS.. I’m glad you got some new winter gear! That makes the season 1000x more bearable! 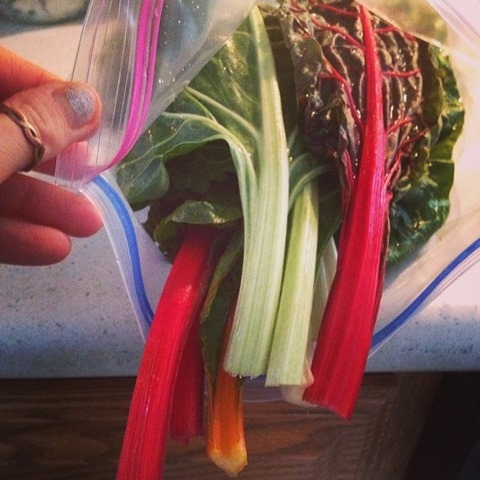 Also, swiss chard is SO good. I love it, too! Our tree isn’t up yet either :P!